Rasam is a nothing but a South Indian soup. 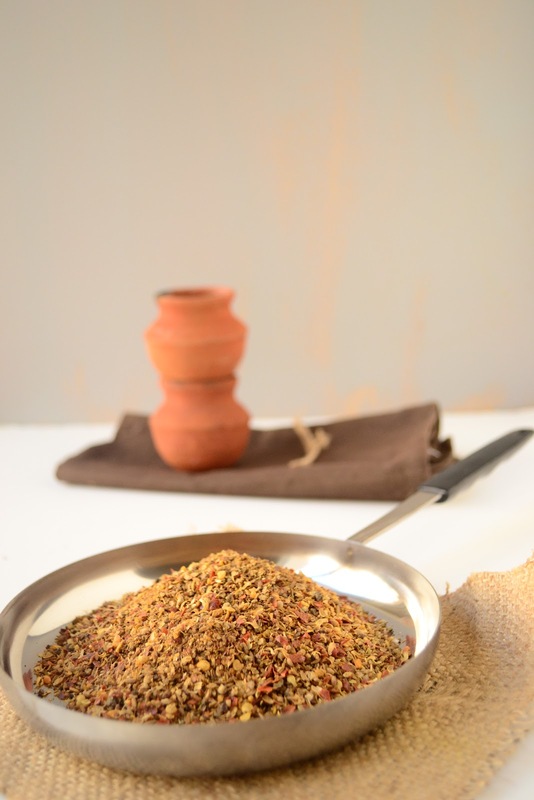 It’s made with yellow lentils, tamarind, tomatoes and rasam podi. It is served with rice or as a soup. In South Indian meals, rasam is served after sambar followed by yogurt and all these saucy dishes are served with rice. Rasam has a watery consistency and can be flavored with cilantro, mint leaves, pineapple, oranges, lemon. My mother makes more than eighteen varieties of rasam at home. In Tamil nadu (where I come from), rasam is predominantly made with tamarind/tomato juice and tempered with basic spices. For an added depth in flavor, ghee is drizzled on top before serving. Whatever is the type rasam you are making, you should have a reliable rasam podi. They must be well balanced with the flavors and grind them and store for 1-2 months in a airtight container. 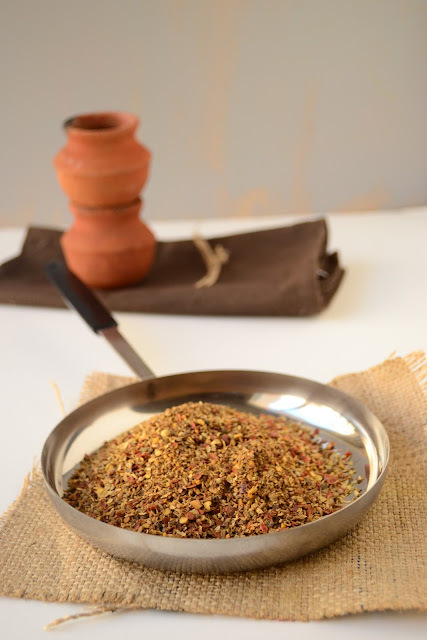 Remember this ratio for the spices – peppercorns:cumin seeds: coriander seeds = 1 :1.5 :2. The math is simple just double the amount of coriander seeds to the amount of pepper corns and cumin seeds will be half the value more than the amount of pepper corns. Dry fry the above ingredients and let it cool. Grind them into a coarse powder. Store it in an air-tight container and can be used for 1-2 months.Check the recipes for rasams here. 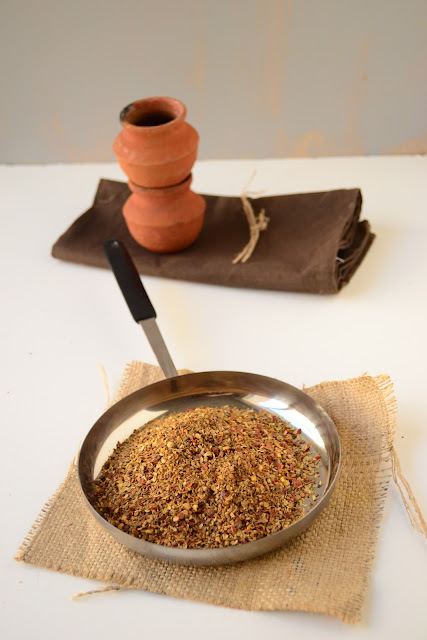 I recently made another version of rasam podi from the cookbook – Cooking at home with Pedatha. I am sharing the recipe for you all here. It involves a lot of step but if you have little extra time, then do go for this. Rasam tastes absolutely delicious with this podi. 1. On a low flame, dry roast the coriander, fenugreek and cumin, each separately, until deep brown. 2. Heat the oil and roast the dry red chillies until crisp. Remove and then add curry leaves and let it crisp up. Remove from oil and set aside. 3. In the same oil, roast the asafoetida for 10-15 seconds. Saute to let it cook completely. 4. Heat the fhee and roast the peppercorns until the aroma arises. Remove from ghee and set aside. 5. Grind them all together to a fine powder.